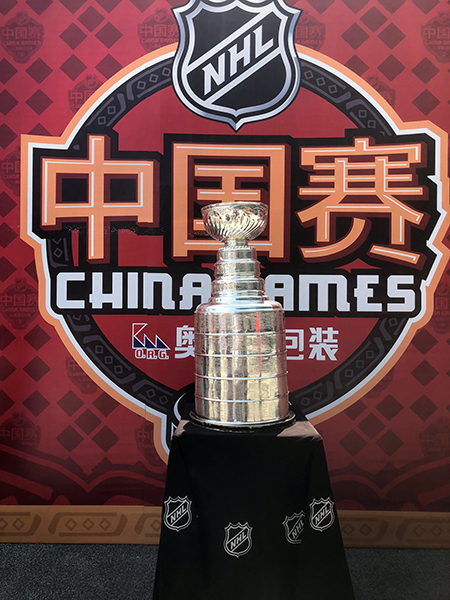 To help kick-off the 2018-19 NHL® season, the Stanley Cup made it’s first-ever visit to the Great Wall of China. 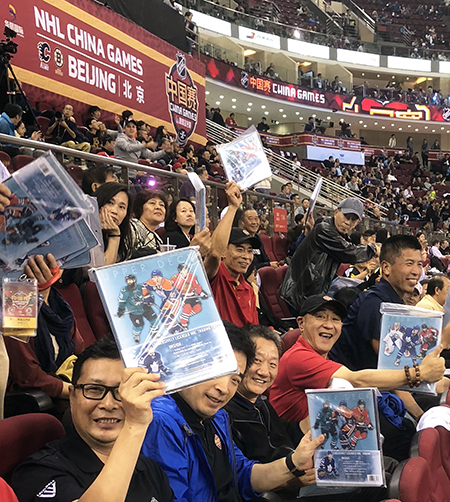 With Beijing set to host the 2022 Winter Olympics, the Chinese government is putting a massive emphasis on developing winter sports, including (you guessed it) hockey. 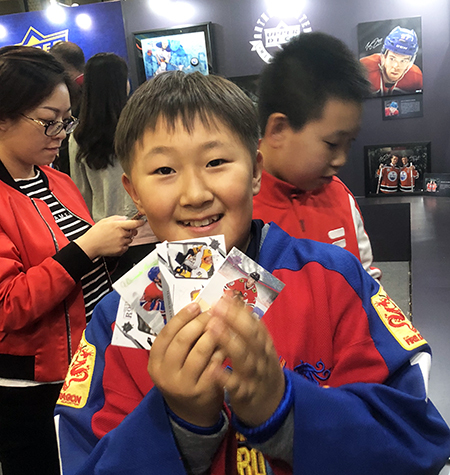 Hockey training programs and youth leagues funded by the government are sprouting up across the country, and the NHL has committed building excitement around the sport with annual preseason games in China, better known as the NHL China Games. 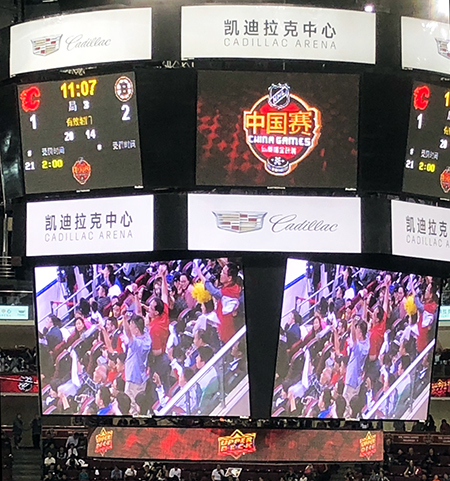 This year, the Boston Bruins took on and defeated the Calgary Flames in 2 preseason games held in Shenzhen and Beijing. 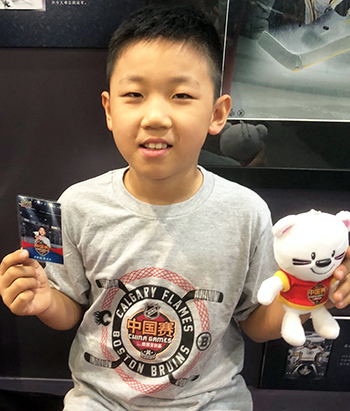 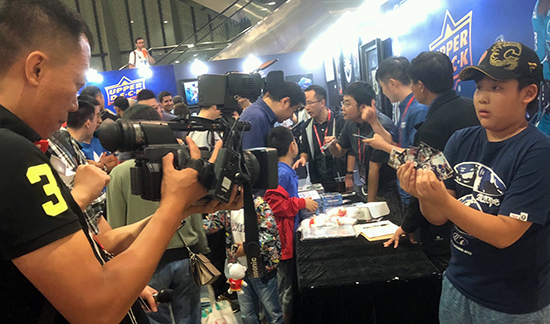 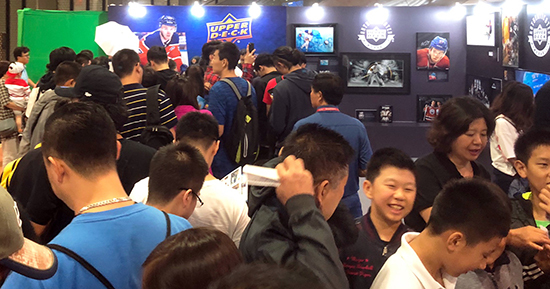 In support of the NHL and our growing collector base around the world, Upper Deck was back in China again this year, visiting shops, meeting with local youth sport organizers, handing out trading cards and showcasing the latest UDA hockey memorabilia. 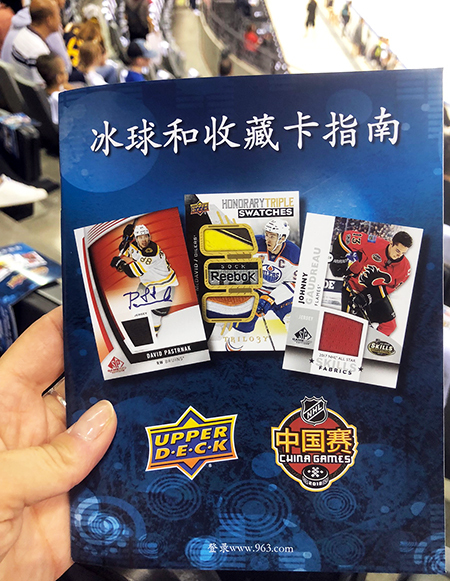 In an effort to help educate new fans, Upper Deck created dual-language booklets that included hockey rules and terminology, a map of NHL teams, a guide to collecting and an exclusive China Games 8-card insert sheet. 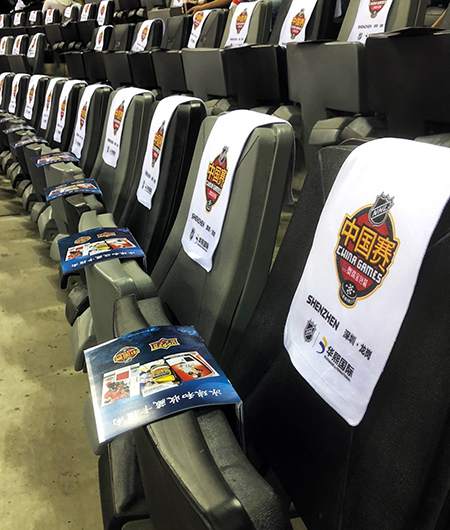 The guides were placed on every seat in both arenas along with souvenir rally towels. 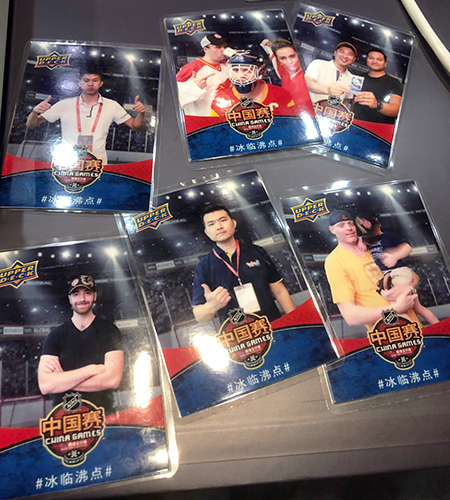 On the concourse, Upper Deck worked with local distributor Shanghai Ruika to create a custom booth and personalized trading card station. 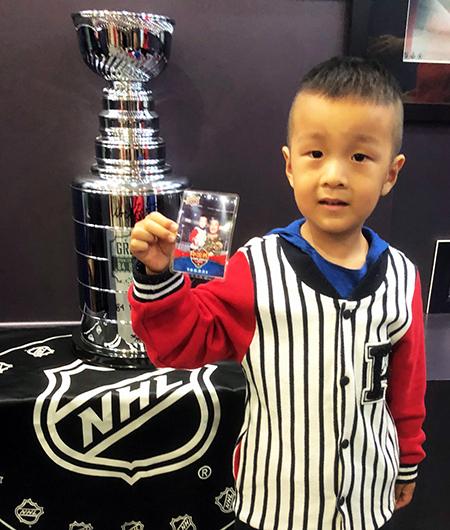 Fans of all ages loved getting their own trading card made and taking pictures with UDA’s Gretzky-signed replica Stanley Cup trophy. 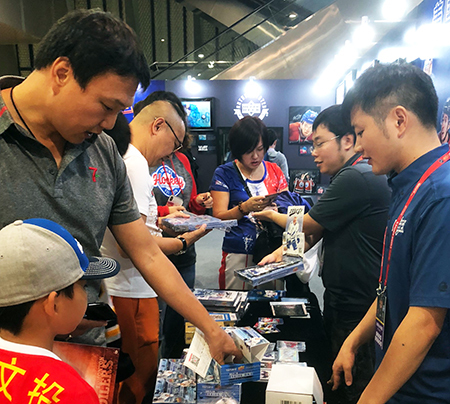 Over at the sales counter, new collectors crowded around to learn about trading cards and open packs for themselves. 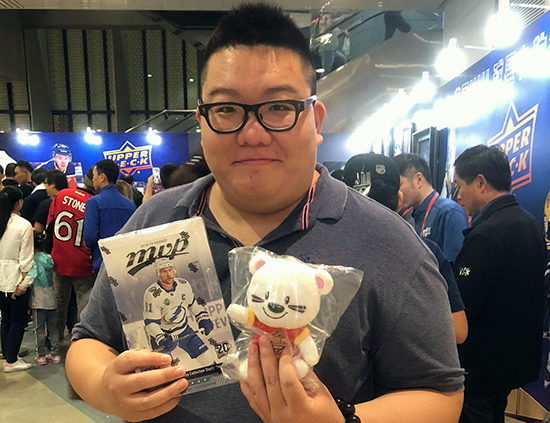 Boxes of NHL MVP and NHL Upper Deck Series One were quickly emptied as excited fans showed off their favorite hits to each other and local TV crews. 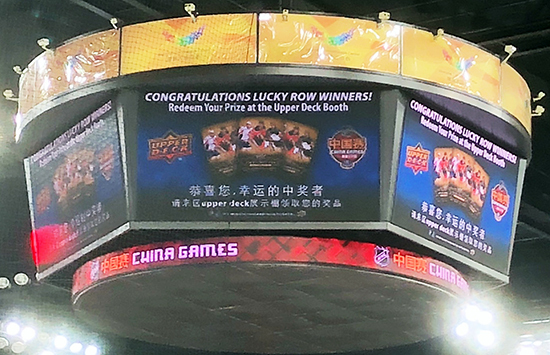 Back in the arena, the Upper Deck Lucky Section of the game was announced and happy faces filled the jumbotron while free Upper Deck Collecting Starter Kits were handed out to all of the winners. 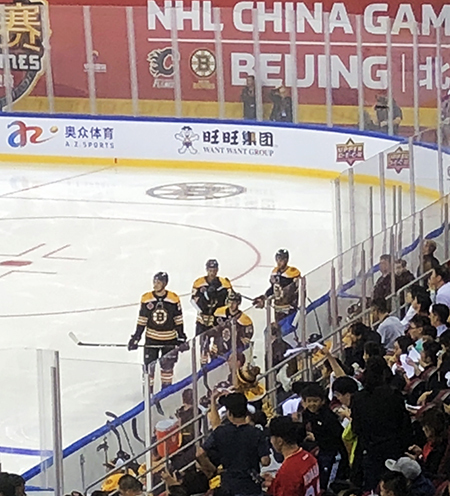 The game wrapped up with an exciting win for the Bruins, and for Chinese fans as a whole. 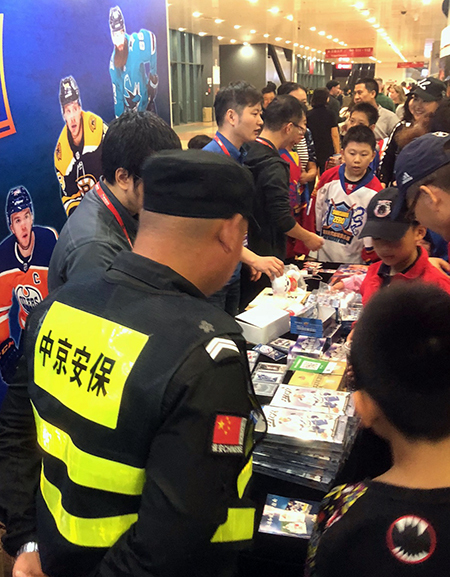 There is no doubt that hockey and collecting are growing in China and that fans are embracing the game like never before. 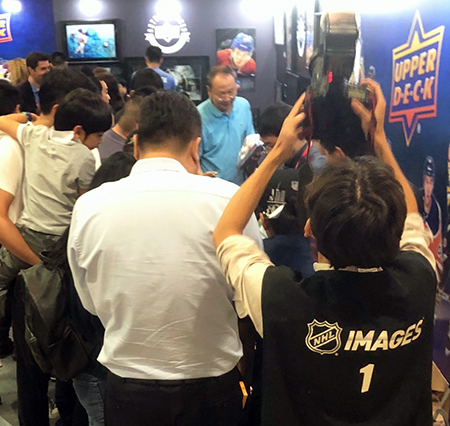 Upper Deck has had a presence in China for over 2 decades and continues to work with our distributor Shanghai Ruika, Certified Diamond Dealers, local organizations and fans to grow and support the trading card and collectibles market for both sports and entertainment. 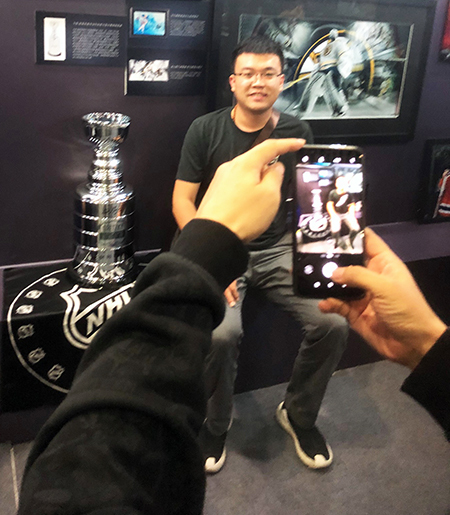 “To be able to check this off the bucket list with the group, it’s a pretty incredible thing. 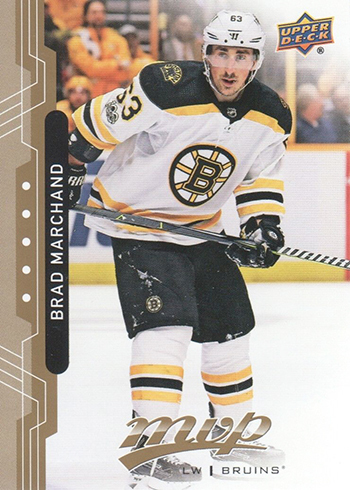 It just shows where the game’s going, how much it’s gaining ground across the world,” said Brad Marchand, Boston Bruins Forward.